Are you a local business owner? If so, you should optimize your website to be easily found on Google Places. One unique trait of local internet searches is that they are usually done with an intent to buy. For example, a person searching for laundry services in Houston is clearly not looking for information on how to do laundry. Rather, they want to get their clothes washed. If your business cannot be found on Google Places, chances are that you are missing out on making sales. Unlike general SEO that targets users from all over the world, local SEO is more targeted to a well-defined market and can result to higher ROI within a short time. It is easy to get top rankings for local search keywords than for searches targeting all users worldwide. To begin, competition is usually low for such keywords. Think about this; instead of competing with millions of sites that talk about dentists, would you not rather compete with 2000 sites talking about dentists in Houston? The best thing about Google Places is that you not only get to list your website, but also your phone number. Users can call you directly instead of going through your website to find out about your services. This direct communication increases the chances of closing sales. If your website is optimized to be displayed on devices such as tablets and mobile phones, users can simply touch the number displayed and call you through one of their device’s calling apps. Ranking high on Google Places can also increase the number of walk-in customers to your store. Today, nearly half of American adults have a smartphone and use it to search for information on the Internet. The smartphones work with location based apps that can indicate directions to the nearest stores in the area. With an optimized Google Places profile, your store is sure to see increased walk-in traffic. Google Places search engine optimization is not a lot different from the general SEO. However, there are a few factors which are different that you should know. To begin, you must have your business information correct. You do not want prospects to call the wrong number or stop by a street where your last store was. Your current email address, store location address, phone number and website need to be updated on your Google Places profile. You also need to give users a little bit of information about your business on Google Places. Think of Google Places as your business card on the web. List your main services, payment information, hours of operations and upload some photographs related to your business. When writing about your services, include some of your target keywords in the copy. However, the copy should flow and be written for humans. If you stuff keywords in the copy where they don’t make sense, your Google Places profile may not be approved. Finally, you have to promote the Google Places profile for it to rank high on search engine results pages. Just like the normal SEO, you need to build high quality backlinks to your profile. Quality links refer to both “do-follow” and “no-follow” links from websites that are trusted by Google. Apart from this, you want to build links from websites that are relevant in your industry. When your Google Places profile is ranking high, you will need to continue doing some SEO work to ensure it continues ranking high. Remember, your competitors are also working to get their profiles ranking high. If you slip with your promotion efforts, your site can be easily knocked off from the top slots. Maintaining your profile to continue ranking well can be tasking especially since you already have a business to run. Your best option is to let our experts handle the repetitive task and leave you time to attend to your business. You have important things like making your product awesome, providing good service, attending to your customers and suppliers and so on. Do not waste your time with Google Places optimization when our team of experts is here to help you. You do not have to experiments or go through the trial and error to see whether your website can rank on the first page on Google Places search results. When you work with our team, you are sure that a team of experts is behind the scenes making sure that all the information required for your account is in place, your local listings information is up to date and your copy is optimized for your target keywords. Ready to get your business on top of Google Places search results? Our team of copywriters, graphic designers and SEO experts is ready to help you. We will craft a Google Places listings strategy that will see your business appear on the top search results. We keep abreast of all Google updates and best practices for website rankings. Moreover, we follow ethical methods of building links to our clients’ listings profiles. Therefore, you can be sure that once your websites is ranking high on the listings, it will not suddenly disappear because of an algorithm update. 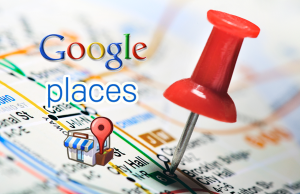 If you need results from Google Places listings, you are at the right place. Send us an email and let us review your website and competition, and provide you with a quote for Google Places rankings.